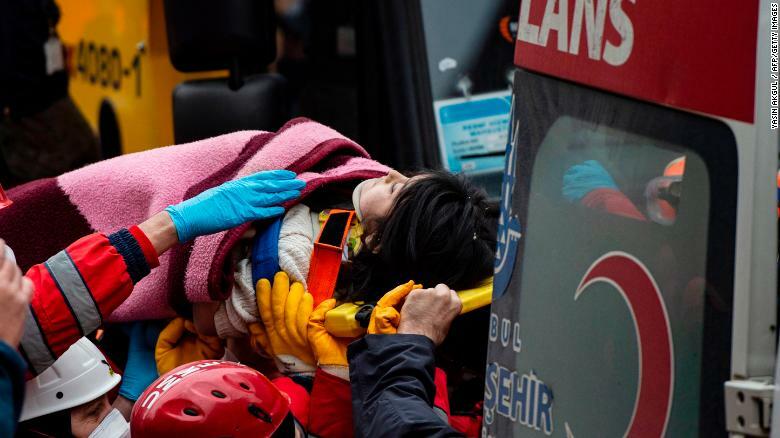 The number of people confirmed dead after a multistory residential building collapsed in Istanbul has climbed to 16, Turkish state news agency Anadolu reported Saturday. 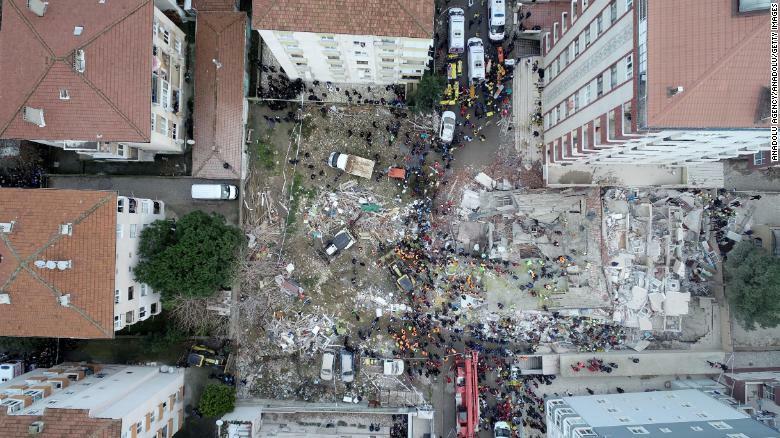 A drone photo shows the rescue operation underway after the building in an eastern district of Istanbul collapsed Wednesday. A child is carried Thursday from the site of the building collapse after being rescued from the rubble. Next articleValerie Reyes called her mom in panic. She vanished within days and her body was found in a suitcase.